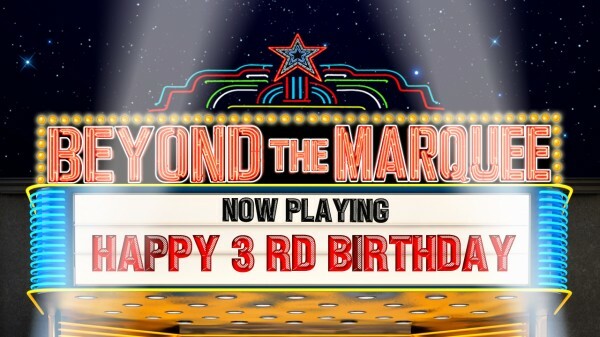 This past week marked Beyond the Marquee’s three-year milestone on the Internet and we’re glad to say we’ve had quite a fun-filled, challenging and amazing year that has truly grown our name and presence in media. We’ve been able to continue our popular original web-series content and also keep tabs on the pulse of the entertainment world with news, reviews and interviews and tons of other content. In addition, we’ve vastly added to our fan base this year and it’s the enthusiasm of our new viewers that has us energized to keep on going. As we forge headlong into our fourth year, we feel it’s always good to look back at our humble beginnings, what we accomplished this year, and what we hope to continue with now and into the future. 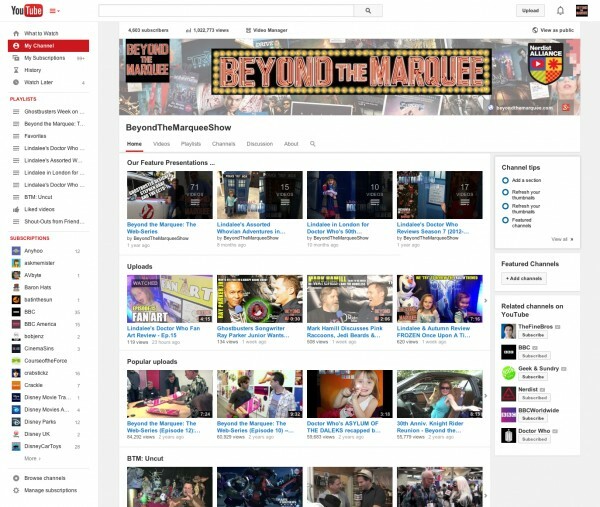 BTM, Your Source for Entertainment and…Beyond! What started as an idea to build an outlet for friends with common interests, talents, passions and connections in Los Angeles has grown into something far greater than we could have imagined. 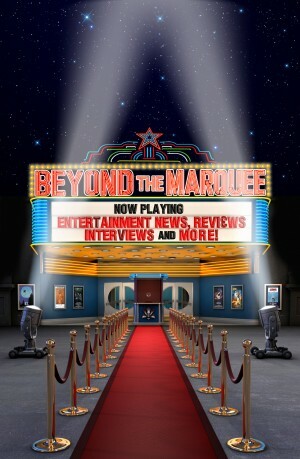 We here at Beyond the Marquee (BTM) truly love what we do and are fully invested in every topic we cover. With so many media website offerings on the web, we never set out to compete with anyone (in fact, most of the folks running those other sites are our good friends!). The site was originally created to be the home of our Beyond The Marquee: The Web-Series and supplemented with daily written articles, features and thought-provoking reviews. Surprisingly, when we decided to take a different tack and focus on spotlighting unique individuals, places, and stories in Hollywood that don’t usually get a lot of attention (but should), we ended up carving a niche for ourselves that set us apart from the crowd. The added bonus we’ve discovered along the way is that by keeping our site family-friendly, we can still do what all the other media sites do, but without having to reside in a gutter of profanity, sexuality, or petty and derogatory comments that have no redeeming element to them. We take great pride in the quality of our work and even greater pride in knowing that a wide audience of people can enjoy it too. To date, we’ve produced over 70 Beyond The Marquee: The Web-Series segments covering just about everything pertaining to film, television and special Hollywood media events including interactions with some really fascinating people. Each and every episode we produce takes a lot of time and effort from everyone involved and while we can’t churn them out every week (at least not yet), when they do get posted, fans can be rest assured that they weren’t just thrown together overnight. Our Web-Episode year started out with an invite for our own Lindalee Rose to attend the HUB Halloween Bash where she got to meet several top celebs including Martha Stewart. Not too long after that, we were invited to the white carpet premiere of Disney’s Frozen, which just happened to become the #1 animated film of the year…no doubt because we were there from the start. =) Throughout the year, BTM continued to have a presence on the red carpet at several prominent premieres and openings and it’s a thrill to now have several studios requesting us to be at those events. Our good friend, Bob Gale, the writer and producer of the Back to the Future Trilogy, sat down with Marty McFly…or more precisely, our own AJ Locasio (who also provides the video game voice for Marty McFly), for an interview about Bob’s new book, “Retribution High.” We then talked with another good friend of ours, painter of the Back to the Future posters and countless other popular movie posters, Drew Struzan. He personally invited us to his public art show, “Drew Struzan & Bob Peak: Masters of Movie Art” and it was a night filled with top-notch art and guests. We also managed to go beyond the confines of Los Angeles with our globe-hopping Web-Series host, Jon Donahue, as he provided an interesting and humorous look at Rick’s Cafe in Morocco. It was down into the Batcave in July where we caught up with 75 years of Batman history at Warner Bros. Studios when our friends in the Warner Bros. Archives Dept. allowed us an in-depth look at all of Batman’s wonderful toys. 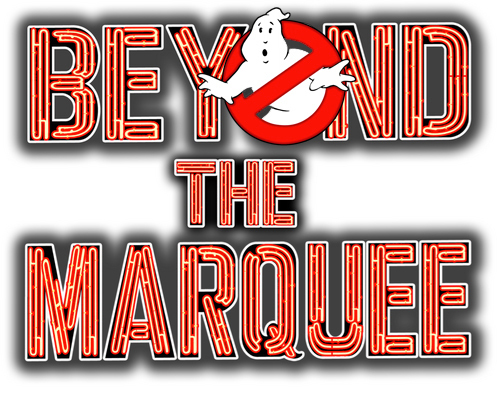 Beyond the Marquee has also made a name for itself in the universe of Doctor Who and our presence there only amplified this past year. 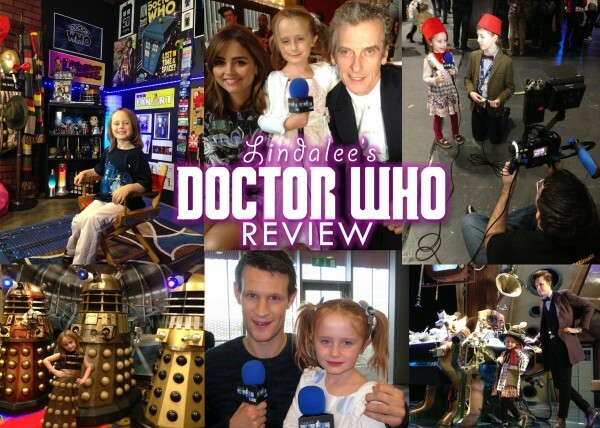 We sent our own Lindalee Rose, the world’s youngest Doctor Who reviewer and resident Whovian, out to London to cover the 50th Anniversary of Doctor Who. 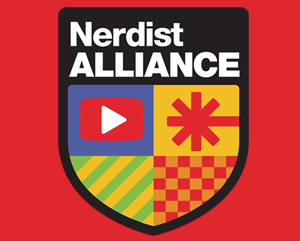 With much thanks to our Alliance partner, The Nerdist, Lindalee was provided some amazing opportunities to interview numerous cast members from throughout the show’s rich history and meet up with some old friends she’s met at previous WHO events. This summer, she also journeyed on a wearying, yet exciting trip to New York for the Season 8 World Premiere of Doctor Who and got to meet none other than the new Doctor himself, Peter Capaldi. 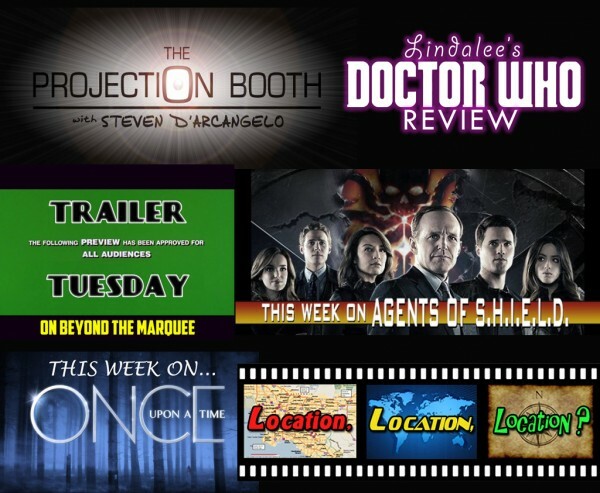 Lindalee continues with her weekly Doctor Who Reviews and Fan Art shows (and the fan feedback is enormous). One good look at her newly revamped set indicates her presence is expanding and may take on a life of its own soon enough! Beyond the Marquee has continually brought some amazing reads to our entertainment fans and this year did not disappoint. 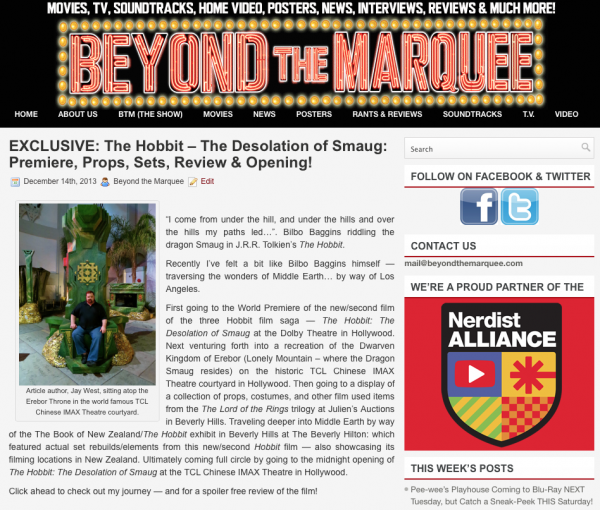 Of note, our friend and excellent correspondent, Jay West, gave an insightful look into the world of The Hobbit: The Desolation of Smaug with a detailed pictorial view of the sets, props and premiere of that film. As a Christmas gift to our fans, Beyond the Marquee’s Co-Producer, Kevin Stern, turned in an exhaustive and accurate look at all the filming locations used in the Disney film, Saving Mr. Banks. The article proved to be so popular that Beyond the Marquee later learned that the Walt Disney Studios Archives Department placed it in their permanent collection for the film. We already mentioned our “Ghostbusters Week” videos, but in addition to those, our written interviews with Ghostbusters producer, Joe Medjuck and also with Ecto-1 designer, Stephen Dane, turned out to be huge draws to our site. The same popularity could also be said for our own, Steven D’Arcangelo’s, humorous look at meeting the man inside Mr. Stay Puft and (a huge surprise to us) a review of the Krispy Kreme Ghostbusters Donuts. 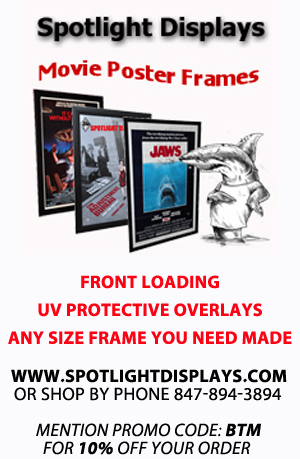 Some of our most popular features continued to deliver starting with the ever-resourceful TRAILER TUESDAYS, unique perspectives on film & TV locations with LOCATION, LOCATION, Location? (a BTM fan favorite), weekly film and DVD reviews from veteran writer John Delia, funny and insightful views on Hollywood in THE PROJECTION BOOTH, and our weekly fill of reviews covering everything from TV’s “Once Upon a Time”, “Agents of SHIELD” and “Breaking Bad” to the newest and most-talked about television and cable shows. 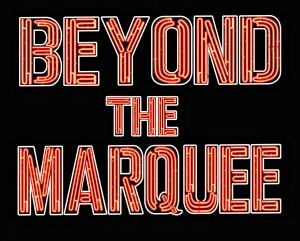 So, what’s beyond the horizon for Beyond the Marquee? Well, we definitely have more in store and are we’re still busy as we head into Year Four. We’re glad to welcome so many new fans to our site and hope that word of mouth (and some well-placed cross-promotional links) will continue to build our fan base. Our relationships with studios and industry insiders are really strong at this point and we continue to open doors to new partnerships and adventures down the road. Let’s just say we’ve already got a shortlist of some really cool things we plan to cover in 2015. As a team, we all work hard so we can be proud of what we produce on Beyond the Marquee. We’re thankful for the continued support and gladly look forward to seeing you show up for what we bring forth next! « Pee-wee’s Playhouse Coming to Blu-Ray NEXT Tuesday, but Catch a Sneak-Peek THIS Saturday!